The Japanese martial art of Aikido is one of the most modern of the martial arts, but its roots go back to the sword fighting techniques of the Samurai. Founded by O’Sensei Morihei Ueshiba, Aikido combines physical discipline and practical effectiveness with an emphasis on personal and spiritual growth. 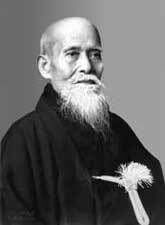 Aikido means the “way of harmonizing energy”. Unlike other martial arts, Aikido has not been developed to win by overpowering an opponent. Aikido makes it possible to resolve conflicts by deescalating violence and neutralizing aggression. The art Ueshiba Sensei started is known for its flowing and graceful movements that have any uncanny ability to use the attackers own energy against them to diffuse and end the attack. Because of this strength and size do not matter in contrast to most martial arts.